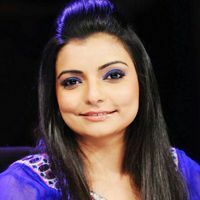 Vaibhavi Merchant is a famous Bollywood dance choreographer. She is the granddaughter of pioneering choreographer Shri Hiralal Merchant. Check out the most updated and latest information about Vaibhavi Merchant's on the Internet.We have 100 videos of Vaibhavi Merchant including interviews, events, or public appearances.Vaibhavi Merchant has over 55 Fans registered on India-Forums.com. We have 49 Bollywood News articles related to Vaibhavi Merchant.Do share your criticism, comments and feedback for the Actor on Vaibhavi Merchant's comments page. We have over 6 Photos of Vaibhavi Merchant to view and download including Vaibhavi Merchant's Wallpapers. hi vaibhavi g!em big fan ov urs. infact em excellent in my profession just cz ov u. thanks. i want ur email id. Miss Merchant , what is your problem with Sushant Rajput . He does not deserves to be treated the way you are treating him . He is doing well and all you do is discourage that boy .